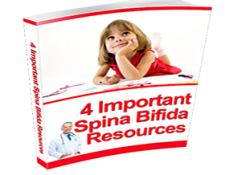 Often, very mild cases of spina bifida are not diagnosed at all until the patient, at a much later date (even into adulthood), goes to the doctor for the diagnosis of another illness unrelated to the spina bifida. If an MRI or X-ray is performed on the correct part of the spine, this birth defect may then be diagnosed. In addition, if a young woman has never had a child with an open neural tube defect, and has no family history or history of taking prescription drugs known to increase the risk of spina bifida, doctors may not look for spinal deformities in the fetus. Mary Jo Dunleavy, RN, Nurse Coordinator in the Spina Bifida Clinic at Boston Children’s Hospital, talks about how a prenatal diagnosis of Spina bifida is made. There are a few prenatal tests that can point to the presence of the spina bifida deformity. If the pregnant mother has a history of diabetes or has had a previous child with neural tube defects, the doctor will likely prescribe a blood test called the Maternal Serum Alpha Feto Protein (MSAFP) test in the second trimester. The fetus produces alpha-fetoprotein (AFP) and it passes through the placenta and ends up in the mother’s blood. If there is something wrong with the fetus, however (i.e. genetic abnormalities, Chromosomal trisomies, or defects such as spina bifida), the fetus produces an excess of alpha-fetoprotein. The excess AFP shows up in maternal blood. Looking at levels of maternal AFP, therefore, can tell the doctor that something is going on with the fetus. This test does not tell doctors what type of abnormality, so further tests are usually performed if AFP levels are high. Amniocentesis, where doctors pull fluid out of the amniotic sac with a long needle, can also determine levels of particular proteins including AFP. Once again, this test is not specific for spina bifida, but may add to the evidence that there is some sort of defect. 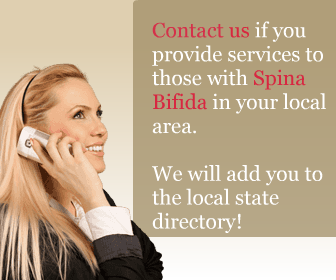 In moderate to severe cases of spina bifida, a prenatal ultrasound will typically be able to see the abnormalities in the spine and may even see the protrusion of the spinal cord or meningle sac. In cases where spina bifida was not detected prenatally, doctors may order some sort of imaging of the spine to further determine if the child has spina bifida (e.g. X-ray, MRI or CT scan). If they show symptoms of the defect such as numbness or paralysis of the lower extremities, hydroencephalus, or something even as small as a hairy dimple or birthmark on their spine, doctors may suspect an open neural tube defect.